As you probably already know by now, I love a bit of organisation. Whether it's a spring clean, wardrobe shuffle or a good old to-do list, I pride myself on having my sh*t together. 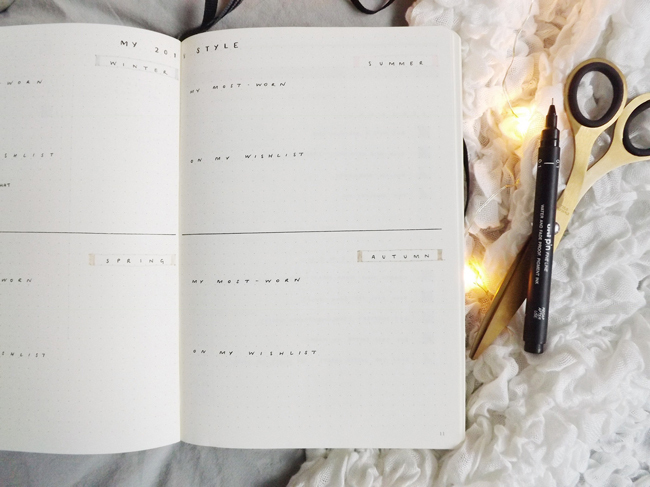 My main tool for making sure I'm on top of everything from appointments to birthdays is my beloved Bullet Journal. 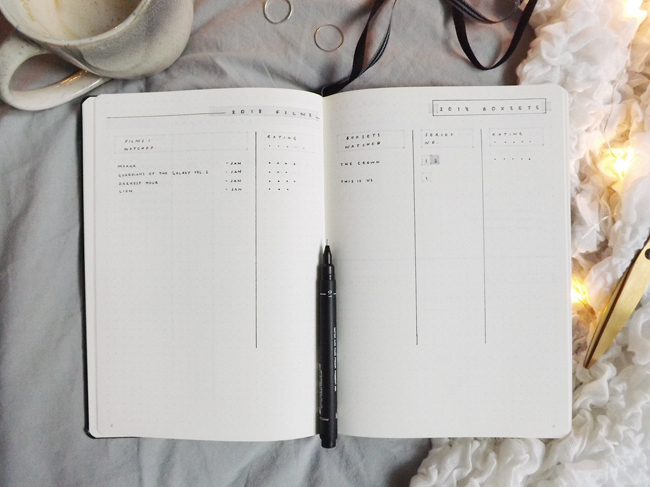 Since switching up my paper diary for this completely customisable system I've never looked back and now frequently fan-girl over the freedom and creativity of the bullet journalling method to anyone who will listen. Previously I've been seduced by all the beautiful bullet journals out there in the Instagram world, turning each and every page in my book into a work of art complete with botanical drawings, bubble writing and various other bells and whistles. 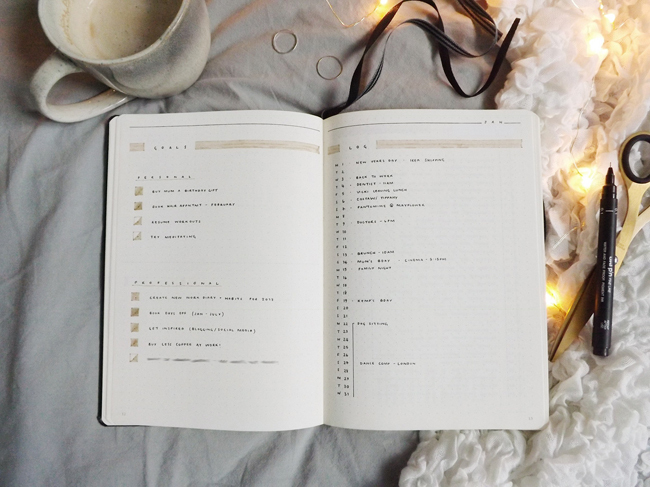 Ironically, I soon realised it's very easy to over-complicate things in the world of bullet journalling so my biggest tip is to be absolutely authentic with your method. For me, that means having a bullet journal that looks minimal and clean, as I struggle to organise my thoughts onto paper when the page in question is covered with busy drawings, quotes and colours. 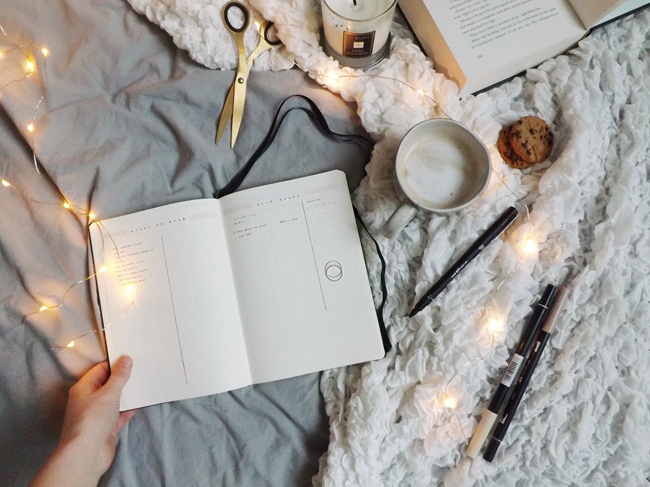 Whether you want efficiency, creative expression or both from your bullet journal, I think it's so important that you stay true to your aesthetic and don't fall victim to setting yourself up with a style that you saw once on Pinterest but can't possibly maintain past March. BOOKS, FILMS AND/OR BOXSET TRACKERS. There's something incredibly satisfying about ticking off the books, boxsets and bad romcoms I've been meaning to watch and/or read for like, ever. Give it a go yourself and rate each one when you're done so at the end of the year, you can look back and see your absolute favourites. GOALS. In January, I wrote out a list of goals for 2018. 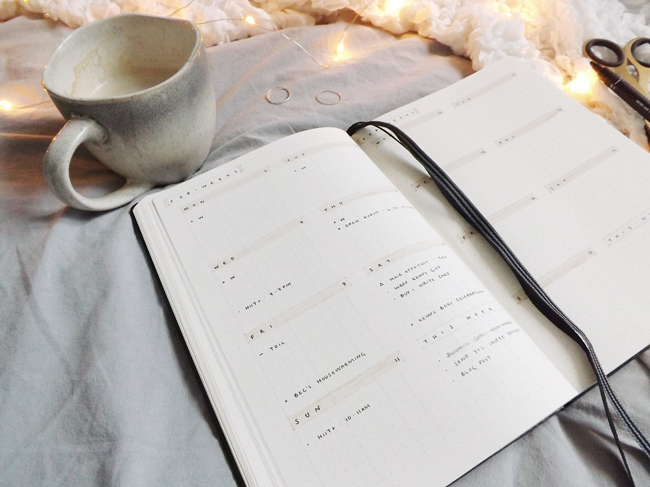 At the start of each month, I revisit this list and break down the biggies into smaller, mini-tasks that can help guide me to getting where I want to be. By doing this, it makes things seem all the more manageable and much less scary - something I definitely recommend. START SLOW AND STRONG. If you're just beginning a bullet journal, my first tip is to plan your initial pages in pencil first. 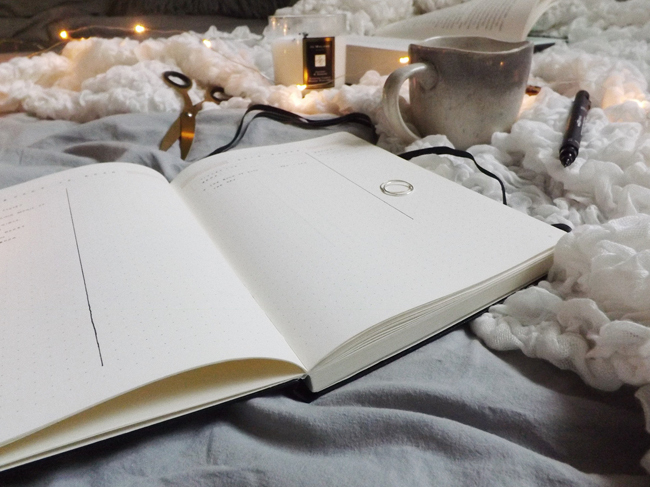 By being noncommittal and organising my journal's running order back in January, through a bit of trial and error I found a working method that suited me best without penning anything in that I immediately wanted to rip right out again. SLIMLINE THE STATIONERY. Again, just like the theme of my bullet journal I keep my stationery kit pretty simple too. For various note taking and list making I use my most trusted Uni Pin 0.1 Fine Line Marker as it's precise and completely smudge-proof, even for us awkward lefties out there. For adding a splash of colour, I love the Tombow ABT Dual Brush Pens - my favourite shades at the moment are 990 Light Sand and 992 Sand for all those pretty beigey vibes. Pens sorted, I then pair these with a trusty ruler, Tippex Mouse (AKA your new best friend) and my Leuchtturm1917 Black A5 Dotted Notebook and I'm away on the organisation train.